We get asked a lot of questions, here are a few we get asked often. WHAT MAKES KRUGER NATIONAL PARK (KNP) SAFARIS SO SPECIAL? WHY GO TO THE KNP WITH KURT SAFARI? WHERE DO YOU PICK UP YOUR CLIENTS AND AT WHAT TIMES OF THE DAY? We operate from Hazyview and will collect you from any of the lovely holiday resorts, lodges or nearby locations. 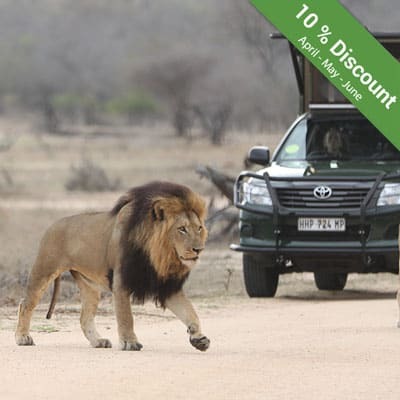 Our vehicles depart at different times in different seasons… For full day or morning safaris, we leave at 5am in October to March and at 5h30am in April to September. For afternoon safaris, we leave at 13h00 pm in the afternoons. Most of the wildlife in the park prefers hiding in the shade during the hot afternoons, so we highly recommend joining us for the earlier safaris to get the most out of your trip. WHEN YOU SAY “GAME”, WHAT EXACTLY DO YOU MEAN BY THIS? Anything to do with the word “game” whilst on a safari; like game drives or looking for game, all refers to wild animals in safari context. You might also encounter “game” on the menus of some traditional restaurants, which basically means that you’re ordering wild buck meat, or even warthog. Even though the KNP falls in a malaria area, most foreigners are pleasantly surprised at how few mosquitoes are actually encountered whilst on a safari. These mosquitoes breed in water, and even in the middle of our rainy season in December, we don’t consider them to be a relentless menace. Despite what you might have been told, mosquitoes are not a plague in the KNP and although we are always cautious about malaria, the locals in and around the KNP do not run around with repellents all the time. SHOULD I TAKE PRECAUTIONS FOR MALARIA WHEN VISIT THE KNP? IS PROPHYLAXIS NECESSARY? If you’re really worried and consider yourself or anyone joining you on the safari to be particularly susceptible to this rare disease, be sure to consult your GP. There are many places in the park where you can buy mosquito repellent containing DEET: this is the most vital ingredient in insect repellents as it has been proved to repel the malaria carrying mosquitoes effectively. ARE THERE ANY PLACES TO STOP IN THE KNP TO BUY SUPPLIES, BEVERAGES OR SOUVENIRS? 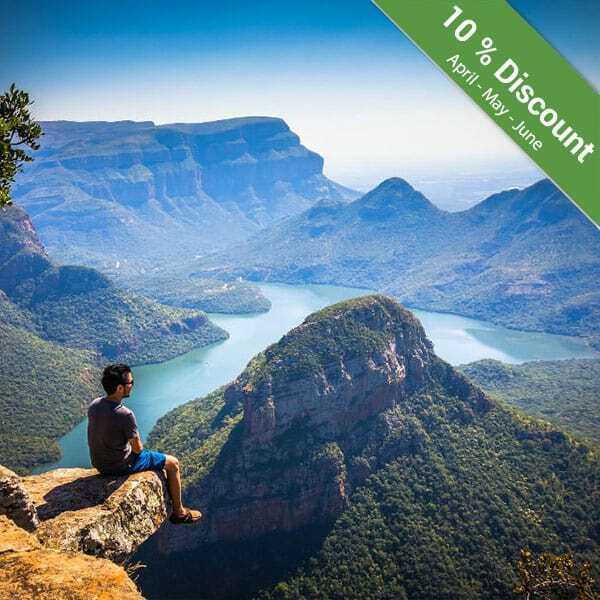 Even though the Kruger Park is basically a giant protected bushveld and sparsely populated, there are many little “towns” and camps where you can find anything from grocery stores, souvenir stores, petrol stations and much more. IF LUNCHES ARE FOR OUR OWN EXPENSE, WHERE WILL WE BE STOPPING AND WHAT WILL BE AVAILABLE FOR US TO BUY? As mentioned before, there are many places in the KNP where we can stop over for lunch where you can buy take-away food or choose to have a meal at the various restaurants. We usually have lunch at Skukuza, but this is not set in stone. IS THERE A RECOMMENDED TYPE OF DRESS CODE FOR KNP SAFARIS? Two words; comfortable and practical. Seeing as you’re going to be driving around for the majority of the time on your safari experience, it is advisable that you wear clothes that are not too tight and not too hot. Winters can be cold, so check the forecast beforehand, but summers are the opposite, so just take a jacket with you, in case it gets chilly, and stay away from high heels ladies! We might stop on top of rocky mountains to give you an in-person taste of the spectacular views in the KNP. Trust me, it’s spine chilling raw beauty. WHEN TAKING ABOUT AFRICA’S BIG 5, WHAT ARE YOU REFERRING TO? You’ll be surprised at the true meaning of this term; it actually refers to the 5 most feared animals in the bush. They are extremely dangerous to hunt on foot and also rather rare. The Big 5 consists out of African Lions, Leopard, Elephant, Buffalo and Rhino. It really is a tourist attraction and many safari companies utilise this term as a major marketing strategy. WHAT IS THE LIKELIHOOD OF SEEING THE BIG 5 WITH KURT SAFARI? 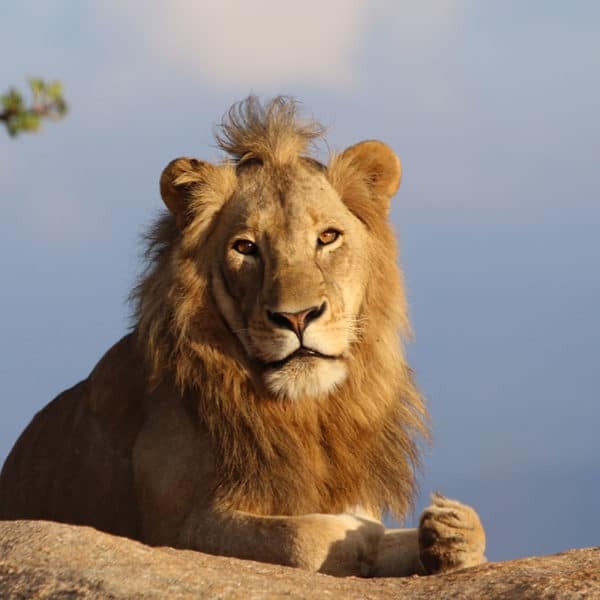 We cannot guarantee that there will be sightings of all five animals in the Big 5, but we can guarantee that we will do our best to find them. Elephant are massive, this is true, but in the lush untouched bushveld of the Kruger, if they don’t want to be seen, they can easily disappear behind the trees mere meters away from you. They tend not to be too shy, unlike leopard. Rhino are extremely scarce, but our guides know where their usual grazing spots are, and a pride of lion would attract so much attention, our radios would notify us if there’s a sighting nearby. 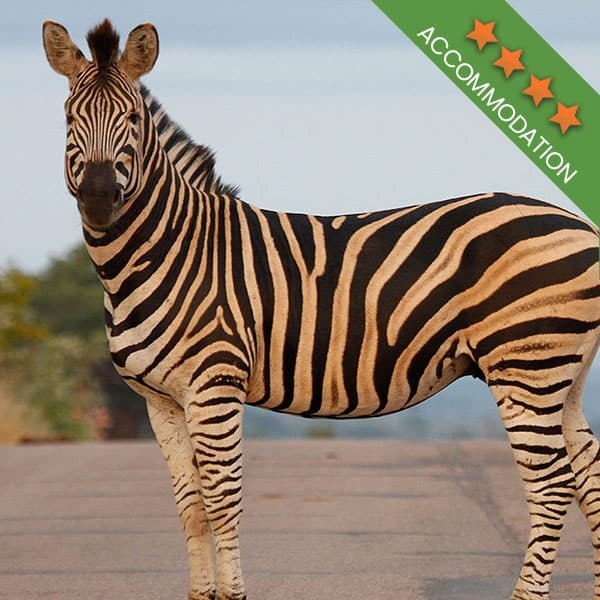 Never the less, you are guaranteed to see a very diverse variety of animals in the Kruger National Park. FROM WHAT AGE ARE CHILDREN ALLOWED ON YOUR SAFARIS AND DO THEY GET DISCOUNT? Children under 8 are more than welcome on privately hired open vehicles, yes. This is purely out of consideration for our other clients who do not have children and might not have the patience for their unique outlook and excitement about each wild animal we encounter. All children under 12 have discounted safari rates, as well as half price conservation fees to enter the Kruger National Park. DO WE HAVE TO PAY DEPOSITS BEFOREHAND AND WHICH PAYMENT OPTIONS ARE THERE? You can visit our website to view the current prices for our safaris, make a booking online to receive an invoice, and then make an online payment before the safari takes place, or contact Kurt Safari for any enquiries you might have regarding other payment options. 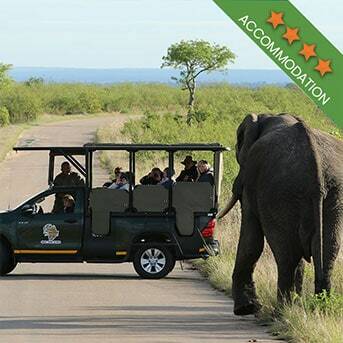 WHAT ARE THE MOST INTERESTING WILD ANIMAL ENCOUNTERS THAT YOUR GUESTS HAVE EXPERIENCED IN THE KNP WHIT KURT SAFARI? I cannot even begin to list the most amazing experiences we’ve had whilst on safaris in the KNP! There are too many to count, each encounter very different but equally remarkable. If you consider the size of the KNP and how many animals call it their home, you can only begin to imagine the things we’ve seen; from a ride of lionesses to the birth of a brand new baby giraffe. Each time our jaws drop at the splendour of mother nature. You will have to come and see it for yourself. ARE SAFARI’S IN THE KRUGER NATIONAL PARK DANGEROUS? Placing yourself in the middle of a nature reserve where there are numerous predators and dangerous animals could sound pretty intimidating, but rest assured, Kurt Safari guide all have in-depth knowledge about the behaviour of these animals and would never put your life in danger. 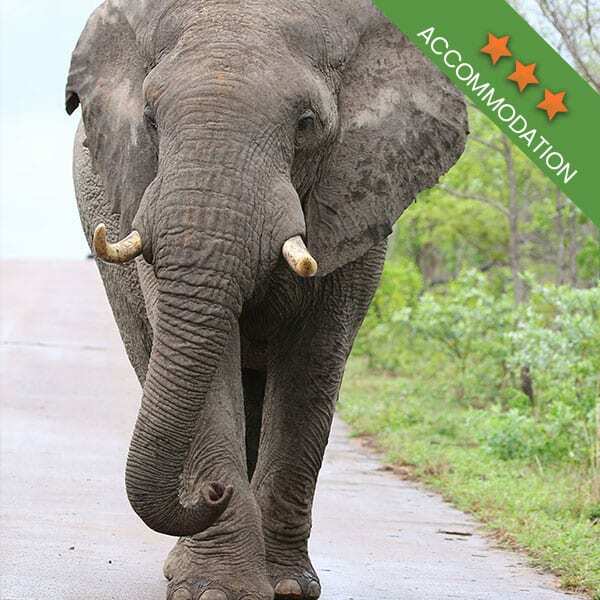 Elephants can be aggressive if they have young ones to protect and even lone elephant bull have charged at cars who don’t know when to back away, but obtaining injuries from wild animals whilst on a safari is very rare and you need not be worried, just enjoy the ride.